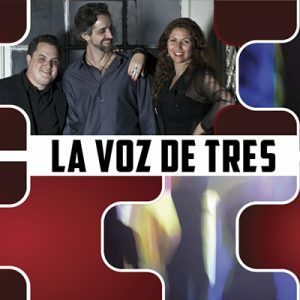 La Voz de Tres blends infectious rhythms and nuanced songwriting traditions from Latin America, original compositions, and works from the great American songbook, creating a delightful and surprising improvisational texture. For this concert the trio of vocalist Natalia Bernal, pianist Mike Eckroth, and seven-string guitarist Jason Ennis are joined by another longtime friend, composer, improviser, and multi-genre cellist, Eugene Friesen. Natalia … Continue reading "La Voz de Tres – Visiting Artist Series"